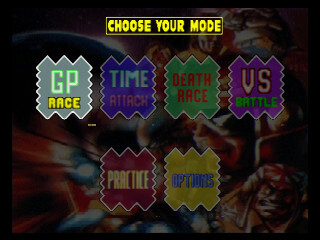 This hack replaces all GFX, textures and circuits F-Zero X.
F-Zero X Climax works on both emulators and real n64 hardware. 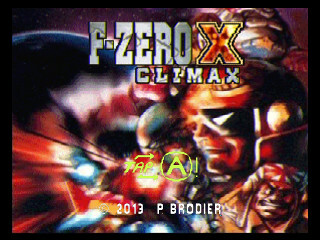 It’s build on F-Zero Climax, the last episode of the series, released only in Japan on GBA. 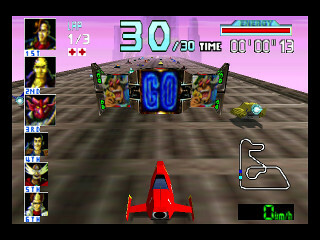 All the 24 F-Zero X tracks have been remade, the 24 new circuits are from F-Zero Climax but very large changes were made, including 3D, absent the GBA version. Like many games it takes a little time to learn the tracks and enjoy it. 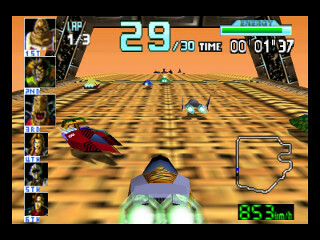 On championship mode the opponents are much faster than in the original game, it makes F-Zero X Climax more difficult. The new layout respect the original GBA circuits with arrows, ice and land in the same places, but here the tracks are much longer (the circuit of F-Zero Climax are very short and the machines fast, all with design and handling that would be very ill-suited to F-Zero X if proportions were kept). A lot of arrows and jump plates have been added here and there to reduce the feeling of emptiness and length of some sections and to increase fun course! Graphics side, it took a full year of intense hard work(six to eight hours a day in most cases, sometimes more) to successfully find and change a maximum of textures, images and texts and after getting a lot of problems, they have all come together nicely in the end. It’s like playing a whole new game!